Avoid any kind of distraction, such as cell phone use or even flipping stations on the radio while driving. Pay attention and be careful especially before and during the drive through work zone like the Selmon Extension. Always wear your seatbelt. Do not tailgate! A sudden stop by the vehicles ahead of you could end up in a rear-end collision, so common in work zones. Do not change lanes without using your signal light. Reduce your speed and obey all traffic laws while driving through a construction zone. 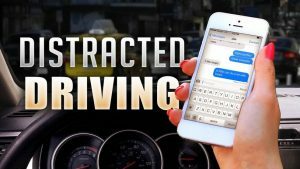 April is Distracted Driving Awareness Month in Florida.